CMI Founding Director Alex King served as director for the Critical Materials Institute from its beginning through June 2018. King was born and raised in London. He attended the University of Sheffield as an undergraduate and earned his doctorate from Oxford. He was a postdoc at Oxford and then M.I.T. before joining the faculty at the State University of New York at Stony Brook, where he also served as the Vice Provost for Graduate Studies (Dean of the Graduate School). 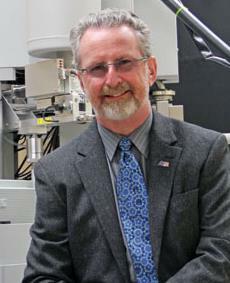 He was appointed as Professor and Head of the School of Materials Engineering at Purdue in 1999, and Director of DOE’s Ames Laboratory in January 2008. In June of 2013 he stepped down as Ames Lab director to devote his time to the directorship of the Critical Materials Institute. King was a Visiting Fellow of the Japan Society for the Promotion of Science in 1996 and a US State Department Jefferson Science Fellow for 2005-06. He is a Fellow of the Institute of Mining Minerals and Materials, ASM International, and the Materials Research Society. Alex was the President of MRS for 2002, Chair of the University Materials Council for 2006-07, and Chair of the APS Interest Group on Energy Research and Applications for 2010. King represented CMI at the 2017 R&D 100 Award ceremony, where CMI science received two awards for innovative discoveries during the past year. At MS&T17, King spoke as the TMS/ASM Joint Distinguished Lecturer. King is a scientific adviser for Material Alchemy, Translating Science into Commercial Products that use Sustainable Materials.